Representatives from Syria’s opposition National Coalition will meet the UN’s Syria envoy in Geneva next month as he seeks to revive peace talks, the group’s president said Tuesday. “The coalition reasserted its commitment to a political solution and the resumption of negotiations where they left off,” the statement said. Any new talks should proceed on the basis of “the formation of a transitional government body with full powers”, it added. De Mistura is due to hold separate talks with rival sides in Geneva from May 4 in an attempt to kick-start stalled negotiations to end Syria’s war. 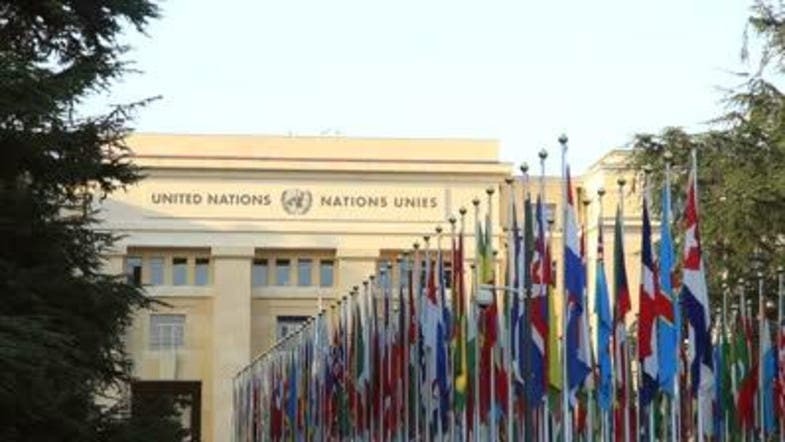 Last week, the United Nations said invitations to the talks had gone out to “as many stakeholders as possible”, including different Syrian factions and regional and international players. The talks will not be negotiations between the different sides, but discussions between de Mistura and each delegation intended to take “stock of where we are now”, a UN spokesman said last week. Syria’s government has not officially confirmed its attendance, but a Syrian official who spoke on condition of anonymity said the regime would be represented by its envoy to the UN in Geneva, Hussam Eddin Ala.
Syria’s main domestic opposition group has also yet to confirm if it will attend, but another opposition grouping of both domestic and exiled dissidents will be represented. Successive attempts at launching peace talks to resolve Syria’s conflict have so far proved fruitless, despite the 2012 Geneva communique that called for a political transition in the country. De Mistura is the third UN envoy to tackle Syria’s conflict, which began in March 2011 with peaceful anti-government protests and descended into a war after a harsh regime crackdown. Coalition president said he had informed UN envoy that a delegation from the exiled opposition body would attend talks in Geneva in May.